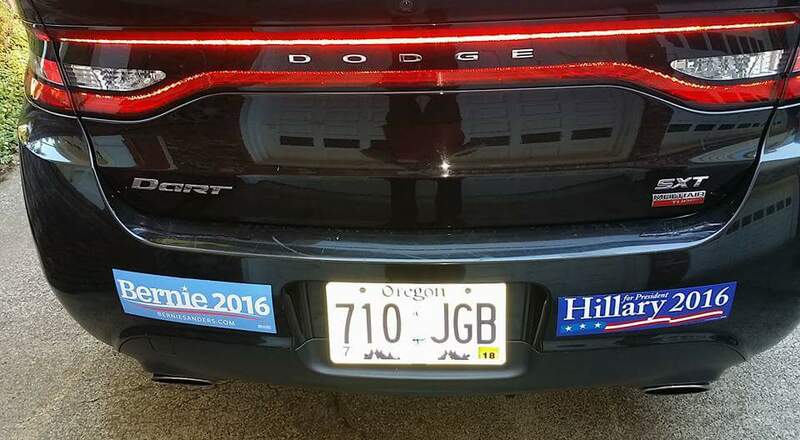 The bumper stickers, and the license plate, are both to note. Got driver's license, too. Officially Oregonian. 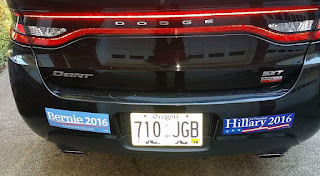 And I couldn't find the "OK, Hillary then" bumpersticker featured in a recent New Yorker cartoon.